How Does Coinbase Exploring Stellar Lumens Impact Ripple XRP? Stellar Lumens (XLM), Ripple (XRP)–The massive Coinbase announcement that came out on Friday has created a stark divide for several cryptocurrency communities. Published in a press release on the official Coinbase blog, the company confirmed that they are “exploring” five new cryptocurrencies–Stellar Lumens (XLM) the largest by market capitalization–with the potential to be added to the exchange’s offering at some point in the future. The move by Coinbase has created a wave of positive price appreciation for the currencies, with Stellar posting a gain of 22% since the news was first released. While XLM fans rejoice over the reversal in 2018’s bear cycle, which saw their coin fall nearly 85% in value since the start of the year, it’s Ripple XRP investors that are left questioning the exchange’s decision–in addition to the price outlook for their own currency. Comment from discussion miguelmeloan’s comment from discussion "Coinbase announces 5 potential new coins, none of which are XRP". Coinbase and Ripple have long been tied for a potential partnership, going back to the end of 2017, when Coinbase CEO Brian Armstrong reported his company was planning to expand into more altcoins beyond their four-coin selection. At the time XRP was in the middle of a meteoric rise (along with much of the industry) that saw the price jump from its mainstay of 0.20 USD to over 1.00 USD. Following the massive pump in price Bitcoin Cash experienced during its addition to Coinbase (albeit one that cost the company it’s reputation over insider trading), many investors flocked to XRP as the next obvious listing. The coin was Top 3 by market capitalization, just behind Bitcoin and Ethereum, and offered a distinct asset variation to Coinbase customers by being a high liquidity, low price-per-coin currency. The aftermath ended poorly for XRP. Just as the currency neared 4.00 USD in value, and the hysteria at a pitch, Coinbase published a press release in the early days of January stating it had no intention to add new currencies at that time. 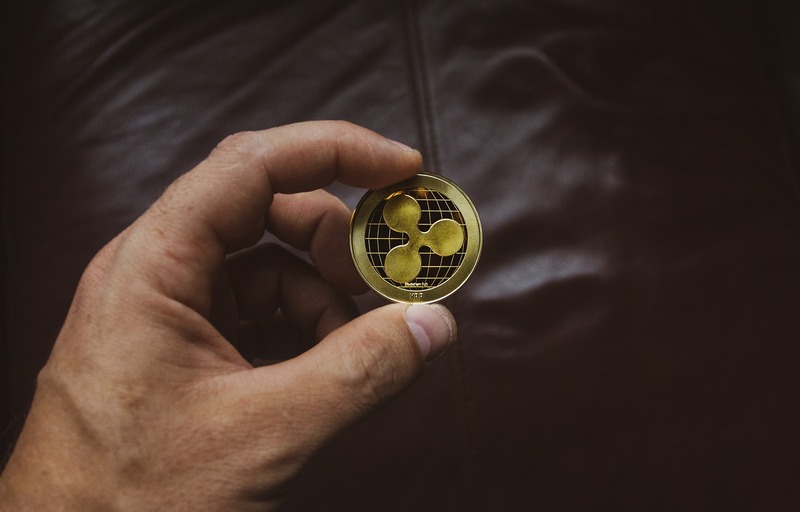 Ripple subsequently began its plummet in valuation, falling from 3.84 USD to its current price of 0.44 USD. With the announcement of Coinbase pursuing Stellar Lumens and Cardano’s ADA, the void for a high supply, low priced cryptocurrency will have been filled ahead of a potential XRP listing. While coin supply has little impact upon intrinsic value or investment interest, the lack of a similarly priced token on Coinbase provides a novelty to investors looking to make their dollars go a little further. At the very least, the psychology of being able to purchase a cryptocurrency for under one dollar, as opposed to the next cheapest offering in Litecoin valued at ~80 USD, will be appealing to the vast majority of Coinbase investors who have yet to venture outside of the exchange. While Coinbase has not published data on what percentage of their user base is exclusive to Coinbase, given it’s U.S. base of operation and emphasis on user-friendly, mobile functionality, it’s fair to say a significant chunk of Coinbase users only use Coinbase. This provides the opportunity for exposing one of the five mentioned cryptocurrencies to a broad audience of new cryptocurrency investors, thereby increasing value and adoption. Ripple could have benefited significantly from reaching this new audience ahead of other currencies. Now, it appears as if the coin may never come to Coinbase. Conspiracy theorists have it that Coinbase is run by Bitcoin fanboys that have little intention of making decisions that will eat away at BTC dominance in the marketplace. Given that rival exchanges, with much shorter time frames on the market, are eyeing billion dollar profits in 2018, it stands to reason that Coinbase is less concerned with Bitcoin dominance than expanding their platform trade volume. Trading brings fees, and the Coinbase app charges some of the highest in the industry (Coinbase Pro, formerly GDAX, has a much more favorable fee structure). However, by pursuing Stellar Lumens over Ripple XRP, which share a significant amount of similarity in that XLM was spawned as a fork of XRP by former Ripple founder Jed MCcaleb, Coinbase is making it clear that it has no intention to work with Ripple–at least in the foreseeable future. Coinbase has regularly pointed to a post on its criteria for adding new currencies to the exchange. As stated in the outline, the language emphasizes decentralized cryptocurrencies. Despite Ripple’s efforts to distance itself from the coin XRP, the company still holds a disproportionate amount of the total supply (albeit locked in escrow) that has led to more than one debate over the level of XRP decentralization. In addition, the coin is embattled in a series of lawsuits over whether the coin constitutes a security, which creates further distance for a Coinbase union. In all, being neglected by Coinbase does not dampen the potential for XRP or its implementation in Ripple’s fintech, but it does hurt investors looking to capitalize on the exposure to nearly 13 million customers. With XLM or ADA likely the first new token listed on the exchange, Coinbase has taken a decidedly negative stance against the world’s third largest cryptocurrency.